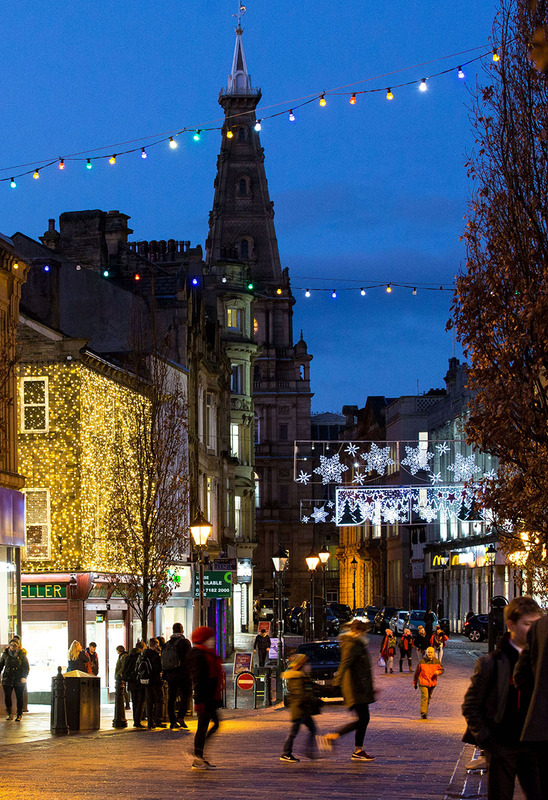 We love Christmas here at Halifax BID, but we know it can get expensive too. This year we’ll be helping three lucky winners with the cost of their Christmas by running a fantastic prize draw worth £500 each! Entering is easy: just look out for the entry forms we’re printing on separate flyers and inside various publications like Go Local and Halifax Courier. Complete the entry then post it in one of the 10 special temporary ‘post boxes’ you’ll see around Halifax town centre. You can enter our prize draw as many times as you have entry forms for, and we’ll be picking the winners on the 1st, 8th and 15th of December – in other words, just in time to help you pay for the perfect Christmas! There’s a nice extra twist to this competition too. Because we’re all about discovering our town here at Halifax BID, each of the three prizes is £500 worth of vouchers for spending locally. Winners can specify the shops they want to spend their winnings at, with £250 allocated for independent shops and £250 for national chains with outlets in Halifax. This puts money back into the locally economy as well as a smile on our winners’ faces! When: entry forms available through November and December in local press and magazines. Prize draws take place on December 1st/8th/15th. Where: ten temporary post boxes at various locations around Halifax town.